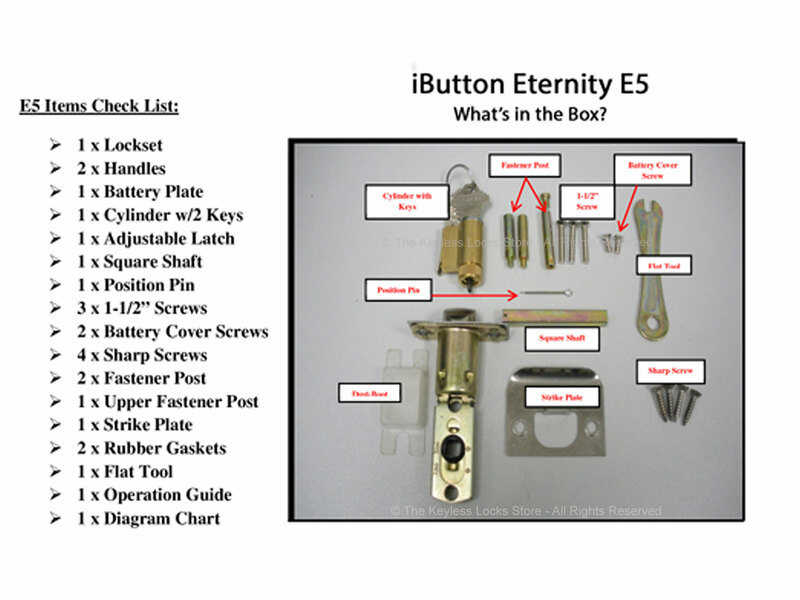 The E5-RF Eternity Proximity Door Lock is a heavy-duty electronic latchbolt lock. It has a Prox Card reader built in. 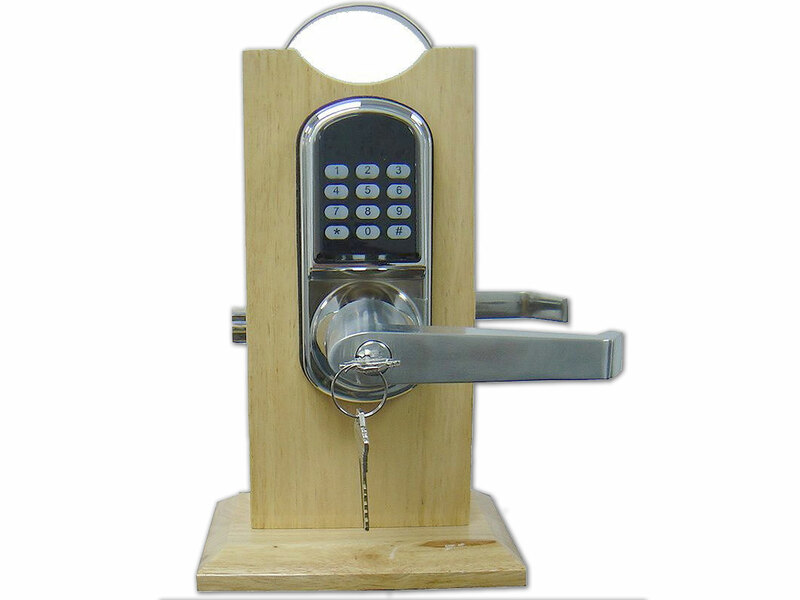 This is the perfect electronic door lock if you want to be able to enter using either a proximity card, keypad code, or a metal key. 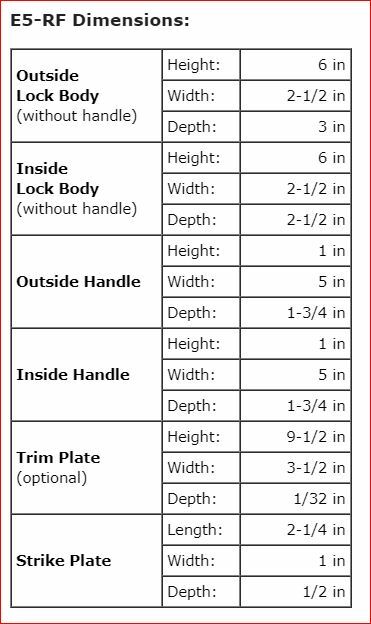 DOOR THICKNESS: fits standard doors (1-3/8" to 2" thick). 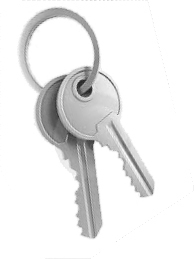 KEY: can be keyed alike. KEYPAD: single-sided (on one side only). MAX CODES AT 1 TIME: 200. POWER: batteries - 4 AA Alkaline batteries. PRODUCT LINE: UAccess Eternity Series. 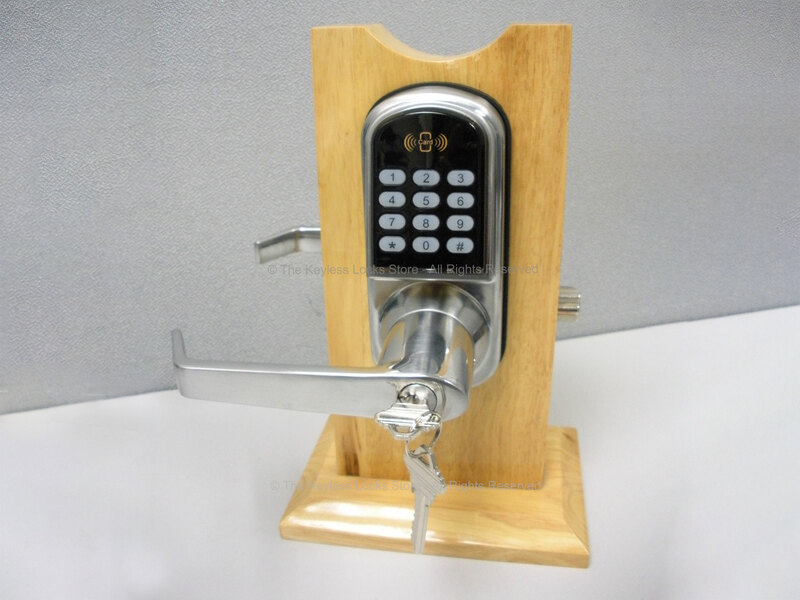 SECURITY LEVEL: (locks come with key cylinder (aka key override) that might/might not be pickable or bumpable). 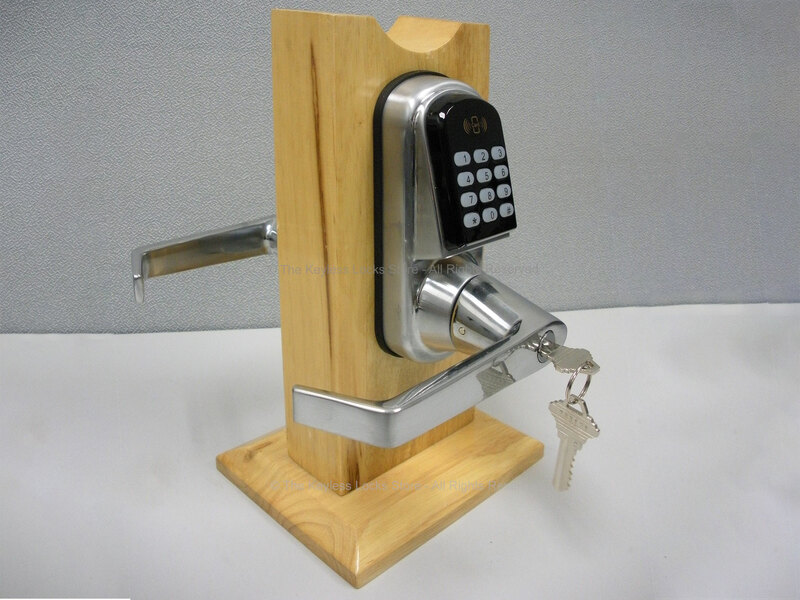 WAYS TO LOCK/UNLOCK: (unlocks by using a keypad on the outside only); (unlocks by using a proximity keyfob, card, or bracelet); (unlocks by using either a metal key OR a keypad). Color-Coded LED Keypad: The E5-RF Proximity Door Lock has a color-coded LED blink feature on this electronic door lock make it easy to use, even in the dark. Power Conservation Mode: The lock can be turned off which will extend the battery life beyond the average of 10,000+ operations, which for most users is longer than 18 months. 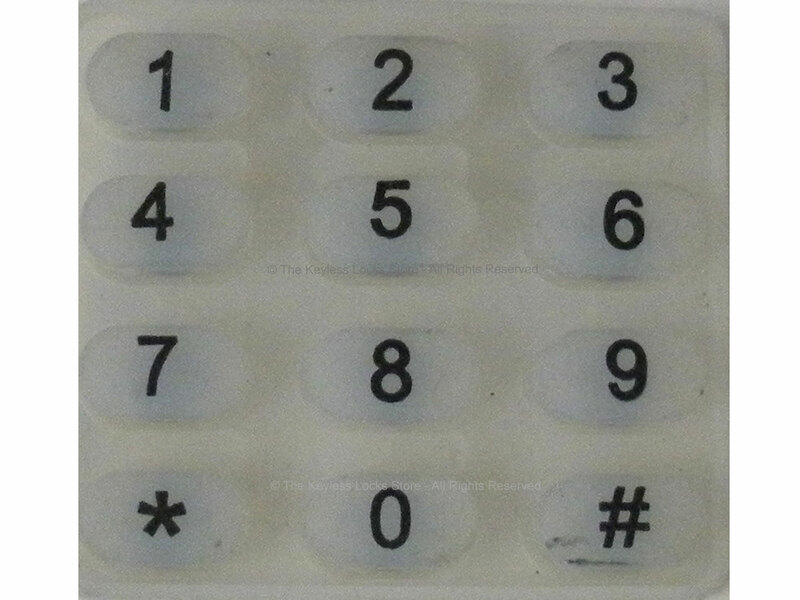 Keypad won't Wear Off: The numbers on the key pad are underneath the clear buttons on the E5-RF Proximity Door Lock, so they won't wear off over time, like other brands. Users can be Deteled One-at-a-Time: Users can be temporarily disabled or deleted one-by-one or in groups without affecting other users on the lock. Right or Left-Handed: The E5-RF Proximity Card Lock is ambidextrous, which means it can be adjusted for a left or right handed door. Internal Clock: This door electronic lock has an internal computer that keeps track of time, so you can set up access time zones. This would allow access during only certain date/time ranges. The internal clock chip will keep the time running, so there is no need to reset it unless you change your time zone. It can even handle Daylight Savings time. One Time Use Codes: You can program the E5-RF Proximity Card Lock with up to 10 one time use codes, which is useful if you want to allow a guest entry only 1 time. Temporarily Lock Out: You can also temporarily lock out all users on the E5-RF Proximity Card Lock in case of an emergency. Automatically Lock and Unlock: You can have the E5-RF Proximity Card Lock automatically lock and unlock the door at a specified time each day. Storeroom Mode: This is the most commonly used mode where a valid entry (a proximity card, keypad, or proximity card/keypad combination) is required each time to open the lock. Passage Mode: This is a useful mode to use when you are going in and out a lot. When passage mode is enabled and your door closes. It will be latched, but not locked. To use this, just enable Passage Mode, then enter any valid entry (a proximity card, keypad, or proximity card/keypad combination) and your lock will remain unlocked until it receives another valid entry. 2. Back Set Adjustable 2-3/8" or 2-3/4"
14. Battery Life 10,000 or more operations, (usually 18+ months, depending on usage); visual and audio low battery warning usually 1-2 weeks in advance when when system drops below 4.8 volts. 21. Exposure The outside body of the lock is weather resistant but not weatherproof. It is going to be exposed to harsh weather, we suggest you purchase a PT66 iButton Protector. 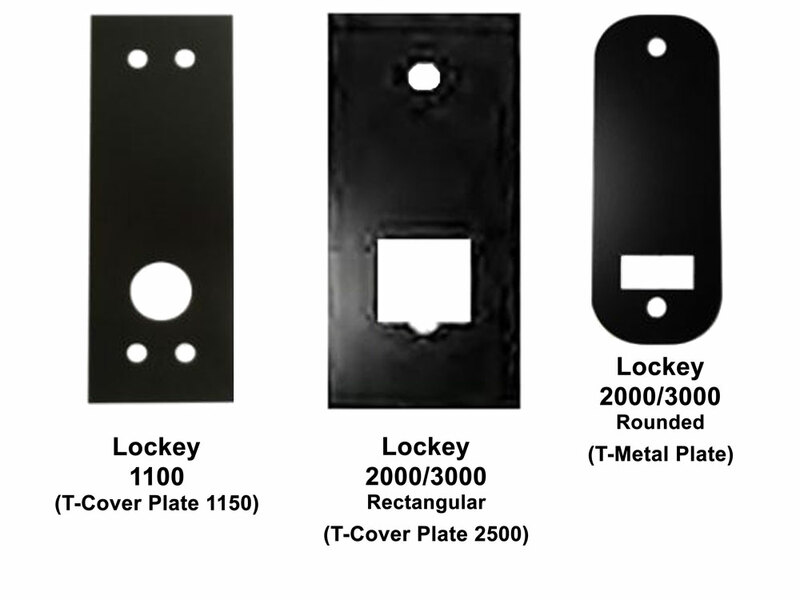 The inside body of the lock should be protected from exposure to water. 22. Door Thickness 1-3/8" - 1-3/4"
23. Memory Retention Flash memory never loses memory even without power. Just reset the time--the E5-RF will retain your users and codes. With this door card lock, you have the option to choose a Mortised Latchbolt/Deadbolt Combo for the Latch Bolt Type below. This is the perfect option if you would like the added safety and convenience of a dead bolt combined with the security of the latch bolt. 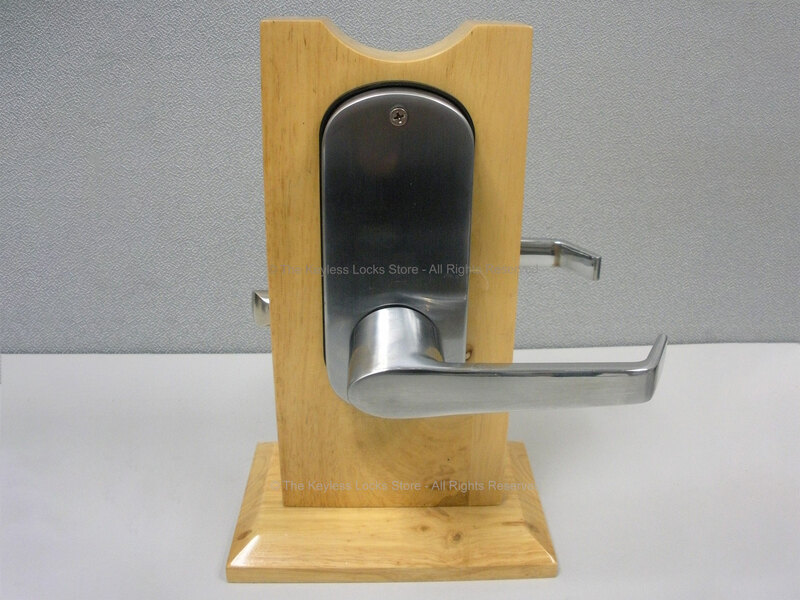 How the Mortised Latchbolt/Deadbolt works: While unlocked, simply turn the handle up to enable (lock) the deadbolt and down to disable (unlock) the deadbolt. 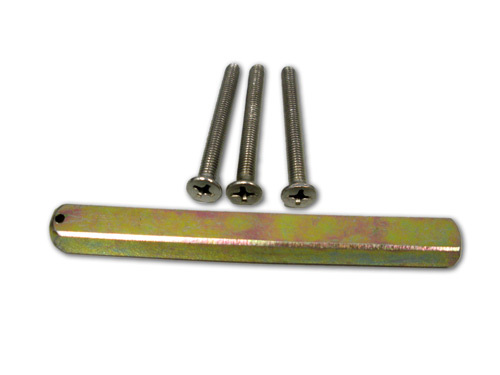 The latchbolt parts works just like a regular latchbolt meaning it locks automatically when the door is closed. We do not recommend using on a narrow stile storefront door because the holes needed for this lock can compromise the strength of the door. 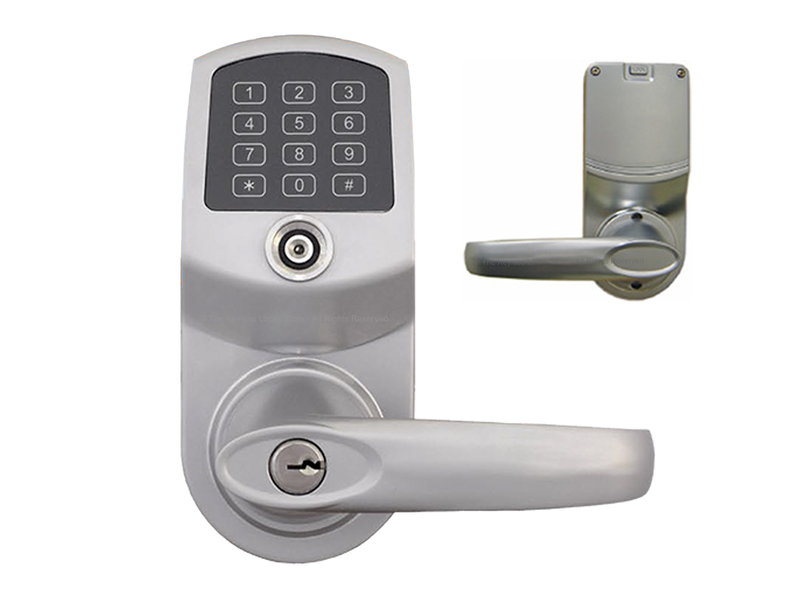 Replace Your Existing Lock— the E5-RF Proximity Card Lock can be used to completely replace an existing deadbolt, latchbolt, or just a plain door knob. Just take off your existing door hardware and install this one in its place. It has been designed to easily retrofit onto standard doors. 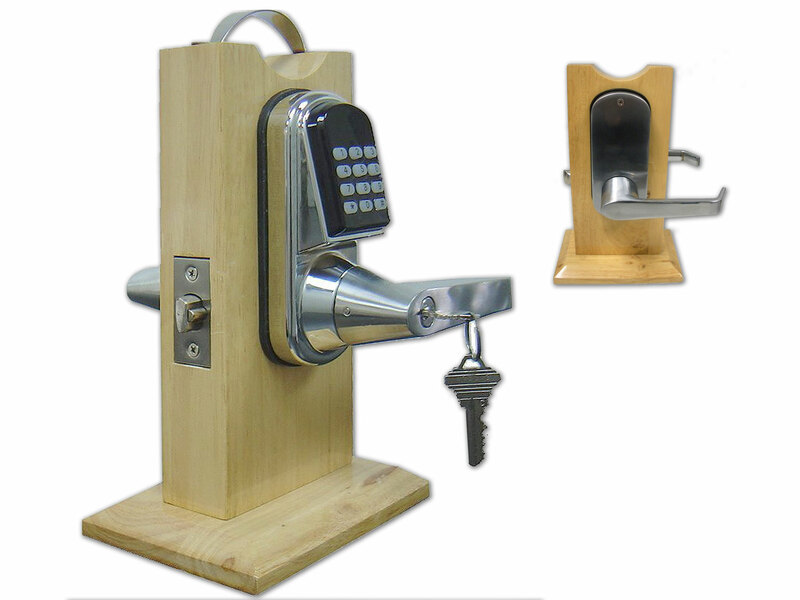 Use with Your Existing Lock—you can also leave your existing lock in place and install this lock either above or below it for added security and convenience. If you do this, people who know your secret code will only be able to enter when both locks are unlocked, perhaps, during the day, for example.